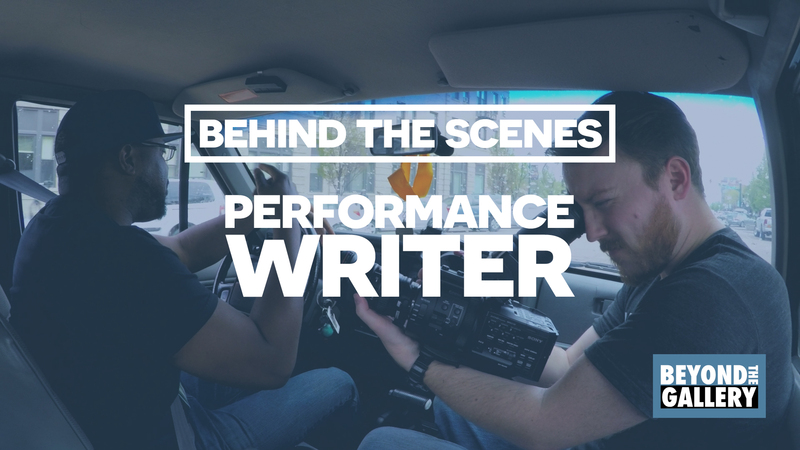 Today I’m excited to share the behind the scenes with you from our two days filming with Idris Goodwin in Downtown Colorado Springs. Idris writes at home, teaches at Colorado College and performs frequently at The Mezzanine, all in Colorado Springs, Colorado. Huge thanks to the CC Theatre and Dance Department and Idris’ students for allowing us to film a class. And also a huge thanks to Linda Weise and the team at The Mezzanine for their generosity and opening their doors to us during Idris’ performance, as well. In case you missed it, make sure to watch the previous episode: Hip hop and the art of writing with Idris Goodwin.